Phil Hatcher wants to make friends with salad via his shipping container crops. "My agricultural background is planting peas and stealing peas from my grandfather’s garden growing up,” says Phil Hatcher with a laugh. After 18 years in the film industry, he’s switching gears and getting back to the land. Sort of. 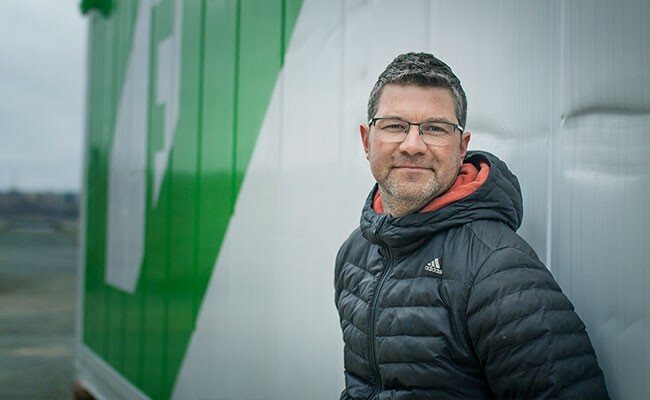 This summer Hatcher will launch Very Local Greens, a farm that lives inside a repurposed shipping container that’s been plunked at King’s Wharf on the Dartmouth waterfront. “This was something I haven’t seen before, something Halifax doesn’t have,” he says of the project, which was inspired by a viral video that lead Hatcher to Freight Farms, makers of the “Leafy Green Machine” AKA Very Local Greens’ home. Aiming to create a local version of Brooklyn’s popular curated (indoor) greens farm, Square Roots, he started crunching numbers. Very Local Greens’ sustainable space offers a hydroponic, climate-controlled system that grows its herbs and various greens in vertical towers, watering and feeding them on a schedule. It can help 500-1,000 heads of lettuce grow per week.